Official Web: http://www.kevinkern.com/ Official Facebook: http://www.facebook.com/kevinkernmusic Official Twitter: http://www.twitter.com/kevinkernmusic Official YouTube: http://www.youtube.com/kevinpiano *************** For more than a decade, Steinway Artist KEVIN KERN has become synonymous with beautiful and relaxing music. His recordings and concerts have established him as both a gifted composer and a brilliant performer. For more than a decade, Steinway Artist KEVIN KERN has become synonymous with beautiful and relaxing music. His recordings and concerts have established him as both a gifted composer and a brilliant performer. ?My music has always drawn from three main influences, a strong classical education, a love of cinematic writing, and a deep respect for the great popular songwriters who have gone before me. With my latest CD, Endless Blue Sky, I drew on all of these inspirational sources to create music that runs the gamut from lyrical to vibrant.? 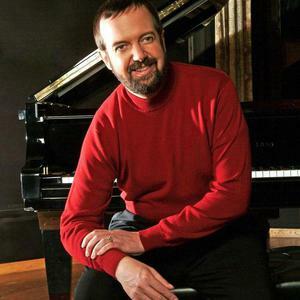 In response to the constant demand for sheet music of his best loved compositions, Kevin has devoted his energies to the creation of solo piano arrangements of selected pieces from his Real Music Catalog and from his new catalog, Kevin Kern Music. Kevin's lastest CD, Christmas, and it's companion songbook will be released on October 15, 2012.